I first tried yellowtail sashimi late last year, and it was love at first bite. Now, if you held a gun to my head and forced me to choose (please don’t, by the way) yellowtail would be my sashimi of choice, even over tuna and salmon! It has such light flavor and just melts between your teeth – it’s not chewy at all! There’s nothing not to love about yellowtail! Using either your hands or a rice mold, form the rice into 5 or 6 small oblong balls. Cut the yellowtail into slices larger than your rice balls. Place each slice of yellowtail on top of a rice ball. You may place a small dab of wasabi on the underside of the yellowtail if you wish. Serve with shoyu, wasabi, and ginger if desired. I love yellowtail – a really awesome fish for eating raw. Have you tried Kampachi yet? A Hawaiian hamachi that is just amazing raw. SavoryTV – You’re welcome, and I agree – yellowtail is quite delicious. Kampachi is available throught his company. It is sushi grade and 9.50 per pound. I’m traveling to hawaii soon and this post was great for me. Love me some sushi! I would put a gun to your head if you said otherwise. Just kidding..or am I.. no really though, I agree with you 100%. Yellowtail is in a league of its own. Tuna is like rare steak, salmon is like soft butter, but yellowtail.. is like soft buttery rare steak haha. When someone asks for a recommendation on fish, I always answer with yellow tail. Yellowtail nigiri with just a bit of scallions on top. Delish! Love your posts and vibrant pictures. You can count on me to stay tuned. It’s best to avoid yellowtail if you care at all about the environment. 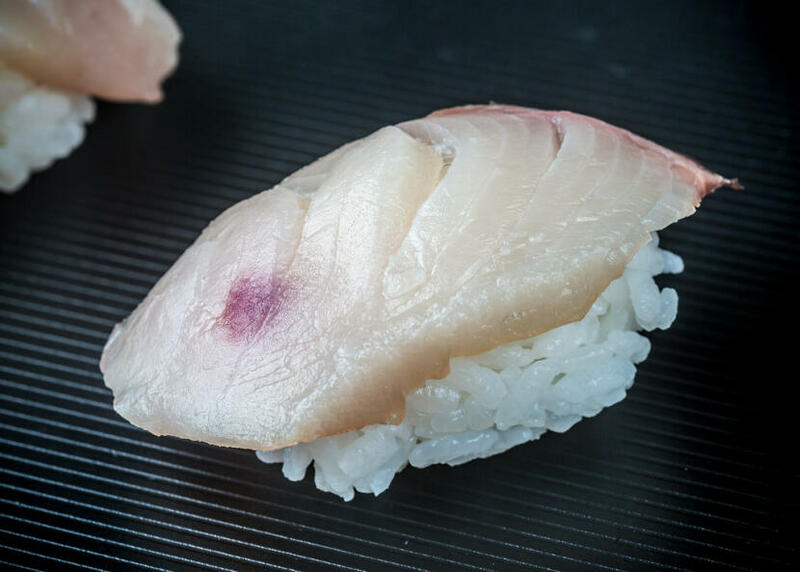 When you go to a sushi restaurant, be careful to distinguish between Buri and Hamachi. 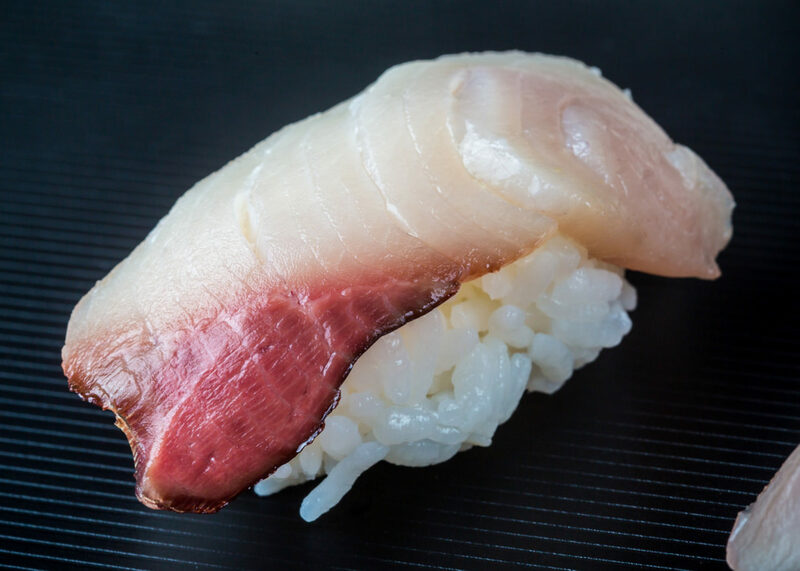 Buri is wild Yellowtail, while Hamachi is farmed Japanese Yellowtail. Both are yellowtail, but they have extremely different flavor profiles and texture. I personally prefer the Hamachi.